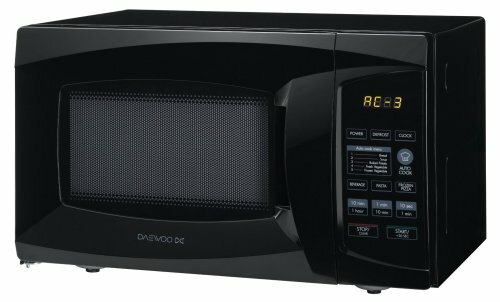 If you're looking to buy a cheap microwave, then the Daewoo KOR6L1BBK is worth taking a look at - it provides a medium capacity of 20 litres together with 10 different power levels which go up to a maximum of 700w. The acrylic interior finish is rustproof and easy to clean for future maintenance, and the handy child lock feature should help to prevent accidents. The Daewoo control system is touch based, with a clear digital display illustrating your selection as well as the countdown. This is backed up by a clear audible alarm to signal the end of the cooking cycle. With a 27cm turntable, it might not suit extra large dinner plates, but for all other purposes it works extremely well, especially considering the low overall price tag. 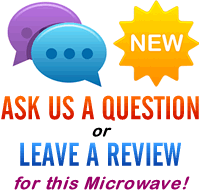 Finished in black, our testers found the KOR6L1BBK microwave easy to use and were unanimous in praise for it - it looks smart, works well, is easy to both operate and clean, and it cooks pretty well too. The Daewoo KOR6L1BBK offers very good value, and performs to a high standard. It may be a touch too small for very large dinner plates, but asides from that it's great. If you need a cheap solo microwave, then the KOR6L1BBK is well worth bearing in mind. Auto defrost with settings for fish, poultry, meat.